Dubliners was Joyce’s first publication of prose and the only collection of his short stories published during his lifetime. Arriving two years before A Portrait of the Artist as a Young Man, it contains stories that depict the Irish middle class at the height of the Home Rule period when the island was wrestling with its identity under British rule. Rereading Dubliners is always a real joy, particularly due to Joyce's command of language. The variety within the collection emanates from Joyce's Irish experiences, which constitute an essential element of his writings. Many of the issues faced by the characters in this collection highlight the concerns of many early 20th-century Irish: class, Catholicism, nationalism, modernity vs tradition, and infidelity. It is penetrating in its analysis of the stagnation and paralysis of Dublin society. The stories were written at the time when Irish nationalism was at its peak, and a search for a national identity and purpose was raging; at a crossroads of history and culture, Ireland was jolted by various converging ideas and influences. Many of the characters in Dubliners later appear in minor roles in Joyce's novel Ulysses. The initial stories in the collection are narrated by children as protagonists, and as the stories continue, they deal with the lives and concerns of progressively older people. They often focus on his idea of an epiphany: a moment when a character experiences a special moment of self-understanding or illumination. Joyce's writing in Dubliners is neutral; he rarely uses hyperbole or emotive language, relying on simplistic language and close detail to create a realistic setting. This ties the reader's understanding of people to their environments. He does not tell the reader what to think, rather they are left to come to their own conclusions (in stark contrast to the moral judgments displayed by earlier writers such as Charles Dickens). The stories frequently demonstrate a lack of traditional dramatic resolution. It has been argued by some critics that Joyce often allows his narrative voice to gravitate towards the voice of a textual character. For example, the opening line of 'The Dead' reads "Lily, the caretaker's daughter, was literally run off her feet." She is not, in this instance, "literally" run off her feet, and neither would Joyce have thought so; rather, the narrative lends itself to a misuse of language typical of the character being described. The collection as a whole displays an overall plan, beginning with stories of youth and progressing in age to culminate in 'The Dead'. This, the longest work in the collection, concerns a university professor who attends an annual party and dinner with his wife. Here he learns that his wife had been in love with a young boy named Michael Furey who had died tragically many years ago. The professor soon begins to realize that he had never, and would never, be as close to his wife as she had been to the dead young man. A short yet powerful tale, The Dead draws parallels between the loss of life and the loss of love, using the desolate backdrop of an Irish winter to emphasize the desolation of the characters. The story was later adapted into an acclaimed film by the legendary director John Huston. Great emphasis is laid upon the specific geographic details of Dublin, details to which a reader with a knowledge of the area would be able to directly relate. The multiple perspectives presented throughout the collection serve to present a broad view of the social and political contexts of life in Dublin at this time. The combined effect of Joyce's magic with prose is a wonderful collection of stories that provide, in my estimation, the best introduction to his writing that a reader could wish for. James Joyce's autobiographical A Portrait of the Artist as a Young Man was published on this day in 1916 (after having appeared serially in the literary magazine The Egoist in 1914-15). I first read this novel during my participation in the Four-year Basic Program of Liberal Education for Adults at the University of Chicago. I have since read and reread this classic work by James Joyce. It is a portrait in words of the coming-of-age of a young boy in Ireland. As a portrait its words resonate with the ideas of Aristotle and the faith of Roman Catholicism and the spirit of music. 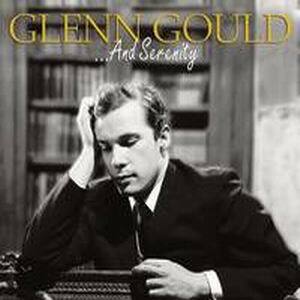 Music, especially singing, appears repeatedly throughout A Portrait of the Artist as a Young Man. Stephen's appreciation of music is closely tied to his love for the sounds of language. I remember being told by a close friend that Father Arnall’s sermon on Hell was the same sermon she heard while a youth in a catholic neighborhood in Chicago more than fifty years later. Stephen is attracted to the church for a brief period but ultimately rejects austere Catholicism because he feels that it does not permit him the full experience of being human. From the opening lines, “Once upon a time and a very good time it was there was a moocow coming down along the road and this moocow that was coming down along the road met a nicens little boy named baby tuckoo”, Stephen grows in awareness and towards his artistic destiny through the words that delineate the world around him. Joyce's use of stream of consciousness makes A Portrait of the Artist as a Young Man a story of the development of Stephen's mind through words as he grows through experience. Stephen's development gives us insight into the development of a literary genius. Stephen's experiences hint at the influences that transformed Joyce himself into the great writer he is considered today. Stephen's obsession with language; his strained relations with religion, family, and culture; and his dedication to forging an aesthetic of his own mirror the ways in which Joyce related to the various tensions in his life during his formative years. In the final moment when he goes "to encounter for the millionth time the reality of experience and to forge in the smithy of my soul the uncreated conscience" of his race he raises a banner that seems emblematic of the life of the author of this inspiring novel. The opening book of In Search of Lost Time is Swann's Way. It in turn is divided into three sections, the first being Combray. We enter the world of the narrator as a young boy when he is trying to sleep while being interrupted by his thoughts. It is these thoughts, described as "reflections on what I had just read" that engage us on the first page of this first section of the first of many volumes. The young boy gradually returns to sleep only to find himself dreaming of the origins of woman from the rib of the first man. It may be that this is one way to view the beginnings of Proust's long tale as the origin of the story of one man's life from the imagination of our narrator as he remembers the events of his life as a young boy at the village of Combray in the house of his Aunt Leonie with his parents. It is not only reading that defines young Marcel, but also his relationships with people around him, not only his mother and aunt, but others including the faithful servant Francoise, the wealthy Jewish neighbor Swann, also Legrandin and Bloch who are introduced to him at Combray. Bloch is interesting in part because he introduces Marcel to the writing of Bergotte. It is Bergotte who above all others entrances the young boy. Reading Bergotte yields a "joy" within Marcel that allowed him to experience "a deeper, vaster, more unified region" of himself. It is through such experiences of reading and the resulting flights of imagination that the reader is introduced to the book that to be read and understood must yield similar emotions for the reader. Yet it is not only reading that thrills Marcel in Proust's story but also, as can be seen from the description of Bergotte's novel, music and its even stronger impact on his imagination. 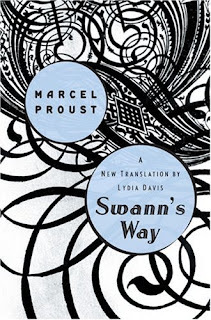 Swann's Way by Marcel Proust, trans. by Lydia Davis. Viking Press, 2003. In two full-length plays--Millennium Approaches and Perestroika--Kushner tells the story of a handful of people trying to make sense of the world. 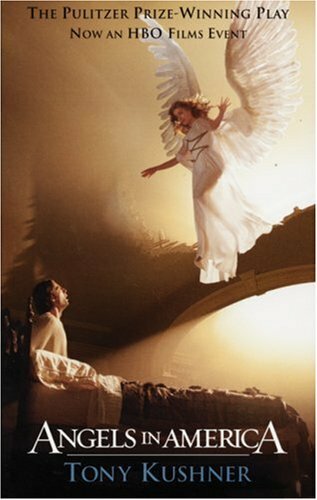 The plays display the literary erudition of the author through themes that encapsulate the American experience and the transcendence of love, death, and angels. Reading these two plays was a deeply emotional experience. 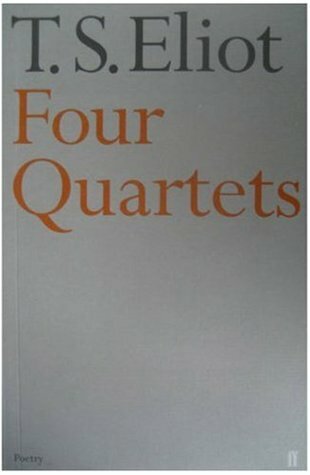 The Four Quartets is a series of four poems by T.S. Eliot, published individually from 1936 to 1942, and in book form in 1943. Each of the quartets has five "movements" and each is titled by a place name -- BURNT NORTON (1936), EAST COKER (1940), THE DRY SALVAGES (1941), and LITTLE GIDDING (1942). Eliot's insights into the cyclical nature of life are revealed through themes and images woven throughout the four poems. Spiritual, philosophical, and personal themes emerge through symbolic allusions and literary and religious references from both Eastern and Western thought. With the use of third person narrative that often seems like a "stream of consciousness" Hermann Broch is able to put the reader inside the head of Virgil for much of the book. From the opening pages we meet a poet/artist Virgil who is on the edge of life in several different respects. The edge between water and land is explored as Virgil's ship, one among the parade of ships escorting Augustus back to the port of Brundisium in Roman Italy, sails toward land on the first page of the novel. This is a very difficult novel that rewards reader's perseverance with deep thoughts about creativity, life, and death. This is the first volume of the seven that comprise In Search of Lost Time. Swann's Way tells two related stories, the first of which revolves around Marcel, a younger version of the narrator, and his experiences in, and memories of, the French town Combray. Inspired by the "gusts of memory" that rise up within him as he dips a Madeleine into hot tea, the narrator discusses his fear of going to bed at night. 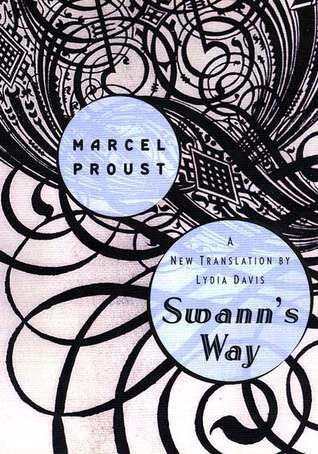 Rereading this novel reminded why I love the prose of Marcel Proust. 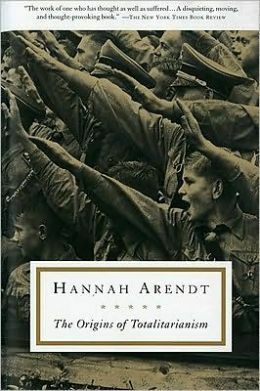 The Origins of Totalitarianism is three books in one. The first part is titled "Antisemitism". The second is "Imperialism", and the third is "Totalitarianism". Moreover, the "new edition" which I read included four prefaces. It is powerful prose that presents thought-provoking ideas about the source and nature of Twentieth-century totalitarianism. This is another difficult book to read both due to the complex ideas that are presented and the profound nature of the issue of the nature of evil. Sometimes the voice of the narrator enchants the reader with her life and that of those around her. 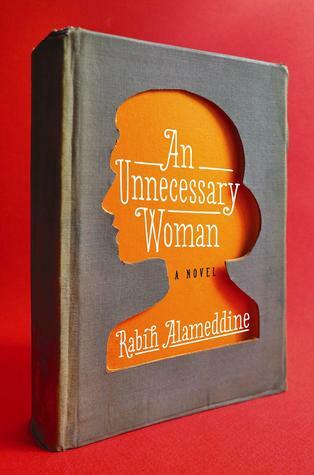 That is what happens in Rabih Alameddine's captivating novel. The narrator is a woman named Aaliya. She is a book-lover in her seventies who runs a book store and translates books. I found the author's depiction of the importance of books in the life of this woman to mirror my own experience. 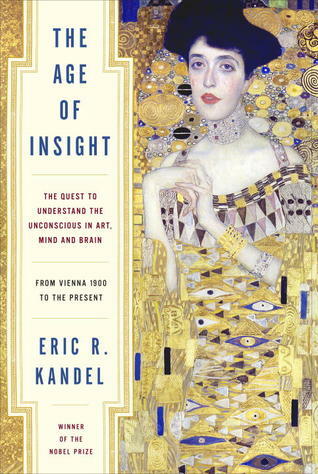 A brilliant book by Nobel Prize winner Eric R. Kandel, The Age of Insight takes us to Vienna 1900, where leaders in science, medicine, and art began a revolution that changed forever how we think about the human mind—our conscious and unconscious thoughts and emotions—and how mind and brain relate to art. To some extent this book seemed to contain almost too many ideas, nevertheless I found the presentation invigorating and endlessly engaging. 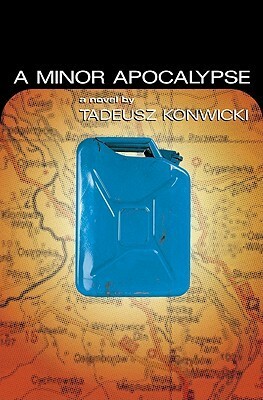 This is a story about the "end of the world" for an aging Polish writer named Konwicki who has built a reputation as a representative of the people in their battle against the oppressive Communist government and its Soviet allies. The world of Poland before the collapse of Communism is presented in a searingly personal way for the characters in this captivating novel. Why do we need fiction? 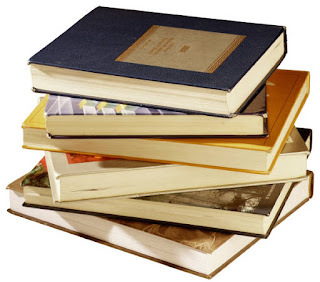 Why do books need to be printed on paper, copyrighted, read to the finish? 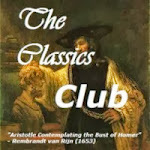 Why should a group of aging Swedish men determine what “world” literature is best? Do books change anything? Did they use to? Do we read to challenge our vision of the world or to confirm it? 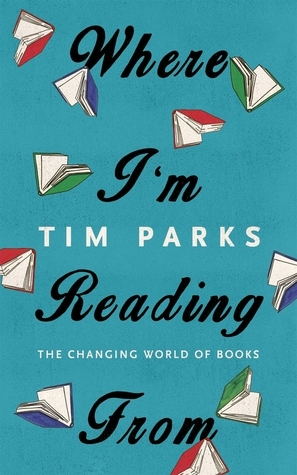 Tim Parks is both a noted translator and award-winning novelist. In this collection he demonstrates his skill as an essayist as he addresses questions that challenge the serious reader. There are good books and there are great books. This book is one of the rare great books that "compels you to reread your soul". There are many reasons for this. It is such a well-wrought novel that the thought of attempting to write about it is somewhat daunting. A good place to begin is the author's mesmerizing prose; prose that approaches poetry on almost every page. This is one of the best contemporary novels that I have ever read. The most notable thing about the dystopic view of an alternative America in Thomas Disch's novel is the status of the narrator. This topic is important to me in part because of my familiarity with Vladimir Nabokov's postmodern novel Pale Fire for which the issue is paramount, but while thinking about that book my view of the status of other narratives was called into question. I mention this because Camp Concentration is told in the first person as the journal of Louis Sacchetti, poet and draft resistor (this is the 1970s), and the question of its reliability is just as important as in Nabokov's meta-fictional work. The story is somewhat reminiscent of Daniel Keyes' Flowers for Algernon, but with a Dostoevskian twist. Adding to the complexities of the narrative are many literary references, most important of which are references to the fictional poetry of Sacchetti himself and those to the Faust legend as reimagined by Goethe and Marlowe. There is the character of Mordecai Washington who plays Mephistofeles to Sacchetti's Faust. As another inmate undergoing the drug treatment that enhances intelligence, Mordecai has become obsessed with alchemy to the bewilderment of Sachetti. Unfortunately, the drug is based on a bug that is related to syphilis and results in the untimely death of the test subject. The parallels in this book abound, but with the notion of poisoned minds, whether by the State which is engaged in perpetual war) or through the experiments in Camp Archimedes, where Sacchetti has been sent to participate in tests of a new mind-expanding drug, one is reminded that this book was written during the middle of the Viet Nam War era. The prisoners in the book appear to be fascinated by alchemy, which they used as an elaborate cover for their escape plans. Sacchetti, who is obese, has a number of ironic visions involving other obese historical and intellectual figures, such as Thomas Aquinas. In addition to the staging of Marlowe's play, the book references the Thomas Mann novel Doctor Faustus, which is about a composer named Adrian Leverkühn who intentionally contracts syphilis. Disch's book mentions a female composer named Adrienne Leverkuhn. Sacchetti's journal tells a horrific story, but how much can we believe when it (apparently) has been through the prison censors. Is Sacchetti like one of Plato's banished artists? Is he a revolutionary, in spite of his claims to the contrary? Or is his story a figment of his imagination? The reader will have to decide for himself and this book has more depth than most I have read leading me to recommend it to all. The reviewer who called it "exciting, allegorical, suspenseful, disturbing. Superb prose and [a} novelist's integrity." (Amazing) was close to describing the feelings I had while reading Camp Concentration. Reading it was a journey into an alternative world that, unfortunately, was all too believable. The Sea is old memory made newly vivid. Art historian Max Morden returns to the Irish seaside village in County Wexford where he spent his childhood summers more than fifty years earlier. He has retreated there ostensibly to write the definitive book on the French painter, Pierre Bonnard. Settling into the former house of the Graces, a family that held claim to his adolescent heart, he reconnects with his innocence, with his first glimpse of love, but also with a profound experience of sorrow. Banville's brilliant, but flawed novel, which won the 2005 Man Booker Prize, presents a man, Max Morden -- an Irishman, mourning his wife's recent death —and his blemished life. "The past beats inside me like a second heart," observes Max early on, and his return to a town by the sea where he lost his innocence gradually yields the objects of his nostalgia. Max's thoughts oscillate between the events of his wife's final illness and the evocative summer, many years past, when the Grace family—father, mother and twins Chloe and Myles, a strange young lad who has never spoken — lived in a villa in the seaside town where Max and his quarreling parents rented a dreary "chalet." It was there he fell under their spell. In a style reminiscent of Proust or Thomas Mann, Banville seamlessly juxtaposes Max's youth and age. Each scene is rendered with the intense scenic specificity of a painting ("the mud shone blue as a new bruise"); the theme of painting is reinforced by references to paintings and painters, especially Bonnard whose noted sketchiness is apropos. As in much of Banville's oeuvre, things are not what they seem. 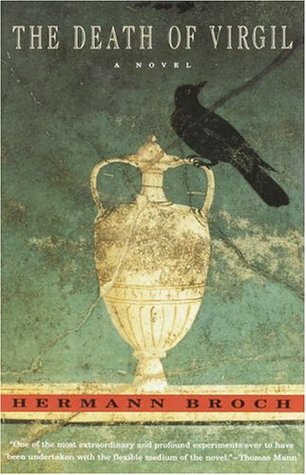 Max's cruelly capricious complicity in the sad history that unfolds, and the facts kept hidden from the reader until the shocking denouement, brilliantly dramatize the unpredictability of life and the incomprehensibility of death. Like the strange high tide that figures into Max's visions and remembrances, this novel sweeps the reader into the inexorable waxing and waning of life. 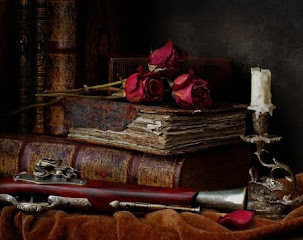 You can open the book to almost any page and read beautiful, poetic language. As the narrator remembers a storm: "At last , I thought, the elements have achieved a pitch of magnificence to match my inner turmoil! I felt transfigured, I felt like on of Wagner's demi-gods, aloft on a thunder-cloud. . ." Or as he describes the sea: "Down here, by the sea, there is a special quality to the silence at night. I do not know if this is my doing, I mean if this quality is something I bring to the silence of my room, and even of the whole house, or if it is a local effect, due to the salt in the air, perhaps, or the seaside climate in general." Unfortunately the prose can also tend to be overwhelming in its gratuitous pretentiousness. Inexorably the novel courses its way to the moment of climax and the explosion rocks the reader. 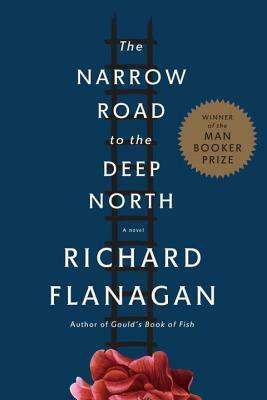 The magnificence of memory juxtaposed with sometimes evocative prose makes this a wonderful book to read. I am looking for the trail. Give me back my stones! This is a unique collection of scintillating poems intertwined with conversations. The poems alone are worth the price of the book. The addition of the conversations is what makes this collection so special. With gardening as the starting point the reflections touch on many topics including personal history, poetry, the creative process, and the cycle of life. The garden was, for Stanley Kunitz, a source of solace and renewal as he dealt with personal health issues and the death of his wife in the spring of 2004. For Kunitz "a garden holds infinite possibilities. What sense of its nature, or its kingdom, is it going to convey? It represents a selection, not only of whatever individual plants we consider to be beautiful, but also a synthesis that creates a new kind of beauty, that of a complex and multiple world. What you plant in your garden reflects your own sensibility, your concept of beauty, your sense of form. Every true garden is an imaginative construct, after all." It is similar for poetry in that the creative process yields via the imagination a work of art, a poem, a thing of beauty. Yet for Kunitz " a poem seems to have no maker at all. Poems gather their own momentum and you feel they're moving on their own. You are part of the world in which they are born and come to maturity, but they have an identity beyond the person to whom they are confiding because the poem doesn't really belong to anyone, it belongs to a great tradition. The great tradition includes what I think of as the essential spirit of the poem which belongs to centuries, not to any single moment in time." This is finally a collection of beautiful poetry, deep thoughts, and moving moments of conversation filled with meaning. This collection of aphorisms rivals the wisdom found in Machiavelli's The Prince or Sun-Tzu's The Art of War. However this is significantly less well-known than the other two. Gracian was a Spanish Jesuit scholar and baroque prose writer and philosopher. He wrote down his observations of those in power. His study of statesmen and potentates demonstrates examples of their ethical behavior and worldly effectiveness. Collected as The Art of Worldly Wisdom, it is almost entirely composed of three hundred maxims with commentary. He constantly plays with words: each phrase becomes a puzzle, using the most diverse rhetorical devices. Gracián is the most representative writer of the Spanish Baroque literary style known as Conceptism, of which he was the most important theoretician; his Wit and the Art of Inventiveness is at once a poetic, a rhetoric and an anthology of the conceptist style. I found many of the maxims in this collection useful insights into a humane way of living and achieving a flourishing life. "All women together ought to let flowers fall upon the tomb of Aphra Behn, which is, most scandalously but rather appropriately, in Westminster Abbey, for it was she who earned them the right to speak their minds. It is she -- shady and amorous as she was -- who makes it not quite fantastic for me to say to you tonight: Earn five hundred a year by your wits." Carnival is the background for one of Aphra Behn's best known plays. Behn was a British playwright, poet, translator and fiction writer from the Restoration era. She was one of the first English women to earn her living by her writing, breaking cultural barriers and serving as a literary role model for later generations of women authors. Charles II employed her as a spy in Antwerp, but she returned to London and after a brief stay in debtors' prison, she began writing for the stage. She belonged to a coterie of poets that included John Wilmot, Lord Rochester. She wrote under the pastoral pseudonym Astrea. Based on Thomas Killigrew's play Thomaso, or The Wanderer (1664), The Rover features multiple plot lines, dealing with the amorous adventures of a group of Englishmen in Naples at Carnival time. 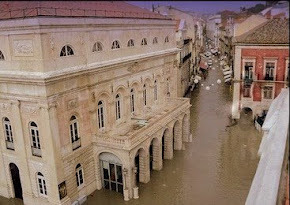 The titular "rover" of the is Willmore, a rakish naval captain, who falls in love with a young woman named Hellena, who has set out to experience love before her brother sends her to a convent. Complications arise when Angellica Bianca, a famous courtesan, falls in love with Willmore and swears revenge on him for his betrayal. Meanwhile, Hellena's sister Florinda attempts to marry her true love, Colonel Belvile, rather than the man her brother has selected. The third major plot of the play deals with the provincial Blunt, who becomes convinced that a girl has fallen in love with him but is humiliated when she turns out to be a prostitute and a thief. The play, while entertaining, is more interesting both as an exemplar of authorial Feminism and as an model of the state of drama as it was recovering during the Restoration era.